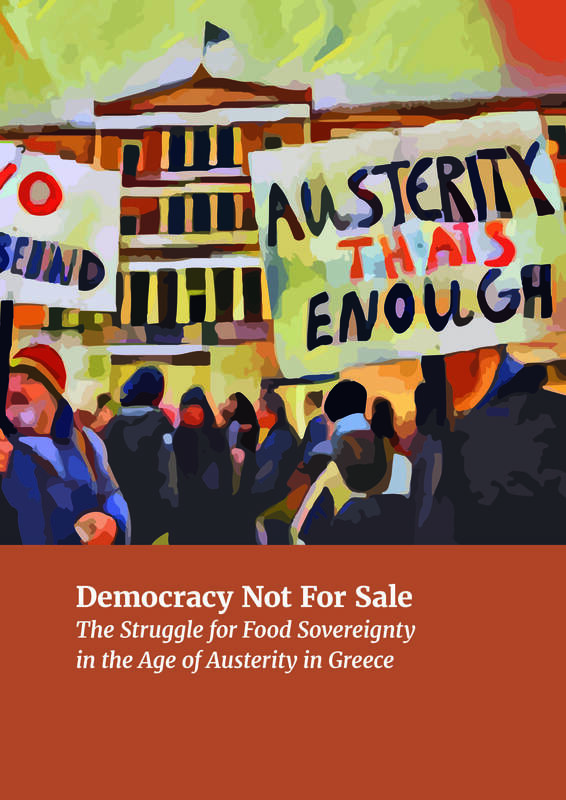 The report Democracy Not For Sale The Struggle for Food Sovereignty in the Age of Austerity in Greece examines the impacts of austerity on food producers and consumer/cooperative initiatives as well as social impacts on the Greek population in general. By focusing on the human right to food, the report highlights the impact of the Greek economic crisis that has touched every aspect of people’s lives. The focus on food producers and rural areas also draws attention to an overlooked aspect of Greece’s crisis as these sectors and regions often lack voice and recognition in national politics and decision-making. Too long? Take a look at the executive summary!